Christening latex that measures approximately 12 inches. Includes the colours blue. 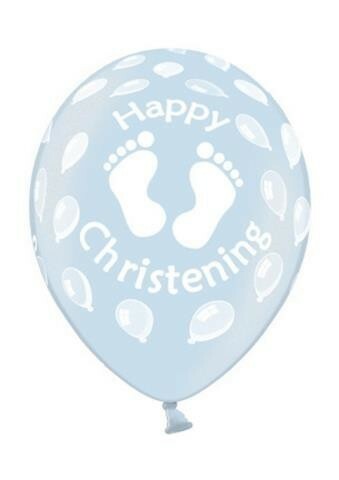 Says happy christening in white with baby footprints printed all over. Bag of 50 balloons. Perfect for a boy. Suitable for filling with helium.